After launching the Canvas Laptab I, Laptab II and Canvas Lapbook, Micromax has decided to expand its array of laptops. It has now announced Canvas Lapbook L1160, priced at Rs. 10,499. 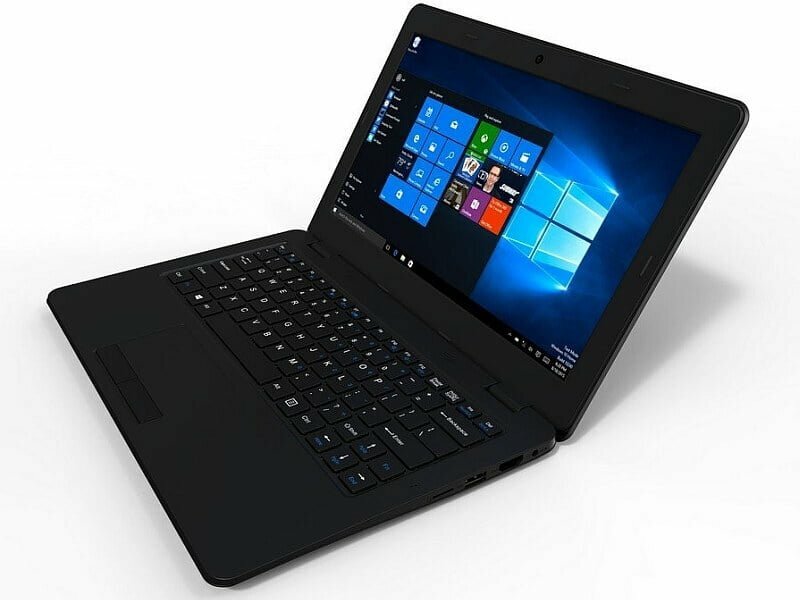 Loaded with Windows 10, Canvas Lapbook L1160 features an 11.6-inch ultra-slim display of resolution 1366 x 768p. Under the hood is a Quad Core Intel Atom Processor (up to 1.83Ghz) paired with 2GB RAM and 32GB emmc Flash Drive ROM. The memory can be expanded up to 64GB using an SD card. For connectivity, the laptop has two USB ports, one HDMI port, and one Ethernet port. Also, it supports Wi-Fi, 802.11b/g/n and Bluetooth 4.0. A 4100mAh battery completes the package. 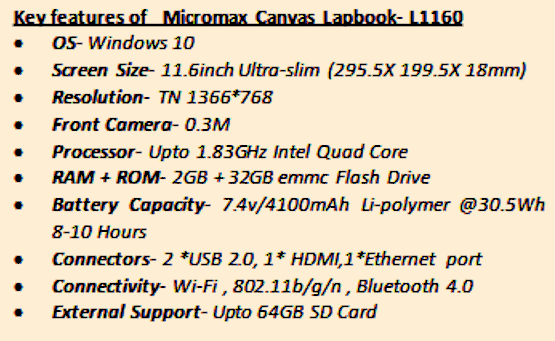 Micromax Canvas Lapbook L1160 is light-weight at 1.13kg. The company is targeting youth, students, and first-time laptop users through this laptop. It will be sold exclusively through Amazon India.